Paint Out Wells-next-the-Sea will be exhibiting dozens of fresh and some past artworks at its pop-up art gallery in The Congregational Hall on Clubbs Lane, just opposite the Buttlands, Wells-next-the-Sea, Norfolk NR23 1DU, 1-7pm, 8 September 2018. 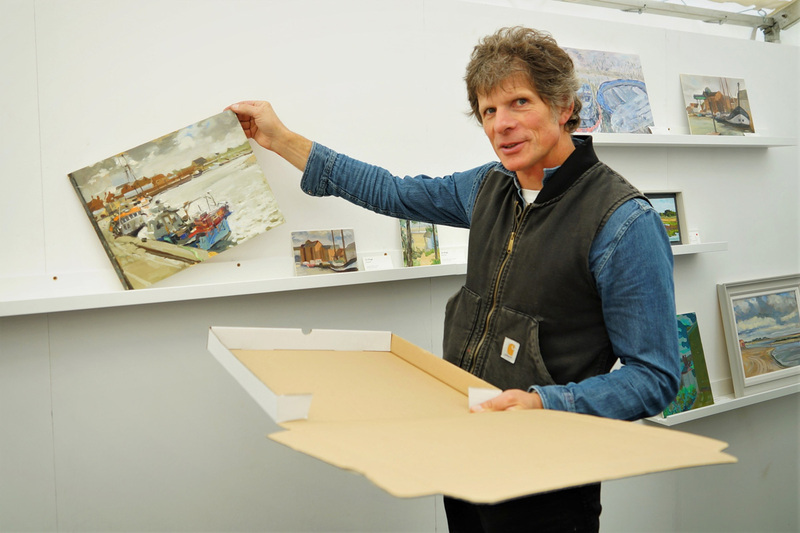 The afternoon of art sales and viewing will show off our experienced open-air artists who will have been painting Wells and North Norfolk all day. Our artists are easily recognisable, many sporting Paint Out red baseball caps, shirts, or hoodies, and are around the town, quayside, beach and further afield, painting morning and afternoon, returning fresh wet-off-the-easel artworks throughout the day. As it’s a rolling art show, there’s no formal Private View, however, we’ll be awarding a prize at the end of the day, 6-7pm, and during the day from 12-2, and 5-6pm artists will be returning with their artworks if you want to meet them. Our artworks are fresh off the easel, and typically range in price from £125-£575 so there are paintings for every pocket to take home an artistic memory to add to or begin your art collection.